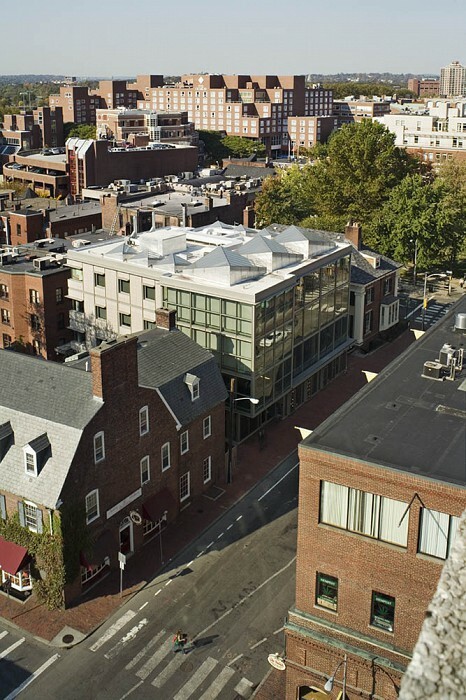 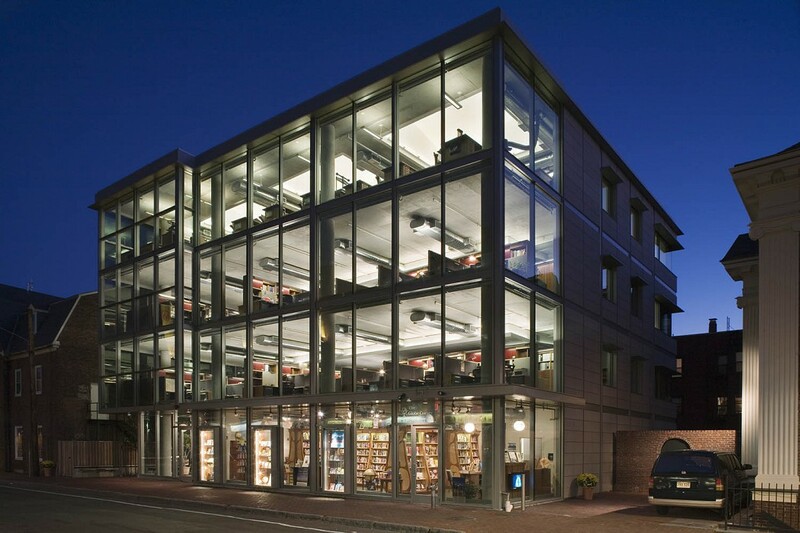 The Collections Center of the Harvard University Library, which includes the Weissman Preservation Center, is a building designed to accommodate central administrative and preservation functions for the galaxy of libraries within Harvard University. 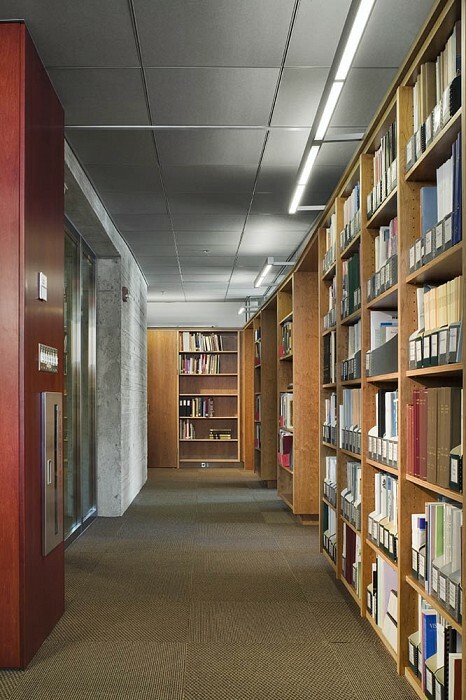 The Center’s staff write and manage HUL’s online catalogue, establish its preservation policies, and conserve its rare and unique books, manuscripts, and works on paper. 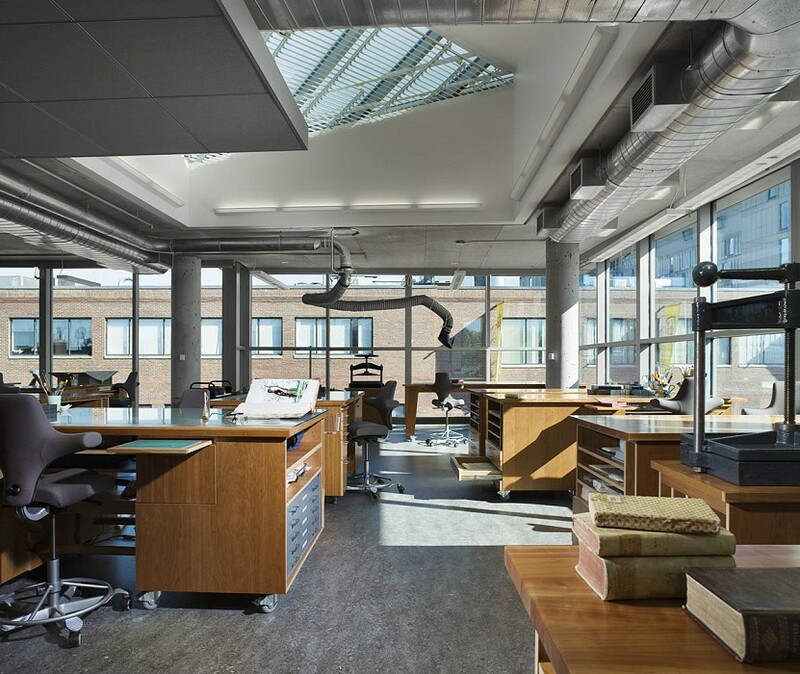 The face of the building is open and engaging, indicative of the building’s vital role. 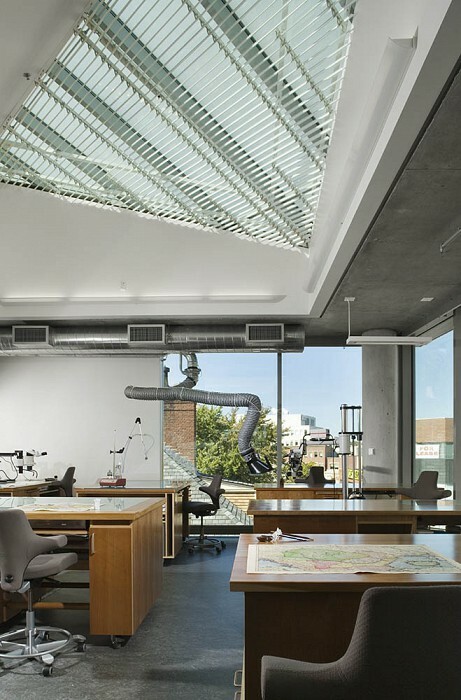 The design includes 24,000 square feet of workstations, offices, and specialized areas, while remaining flexible for alternative future uses. 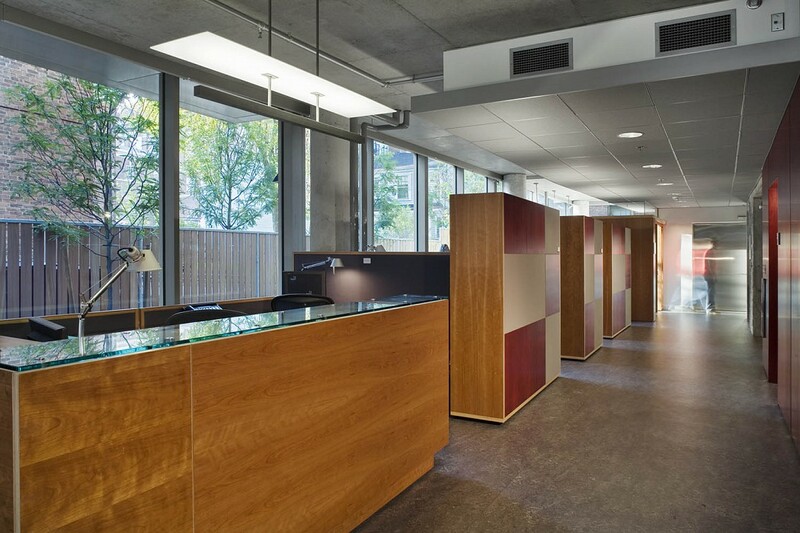 Generous visual space coheres individual departments into a balanced whole. 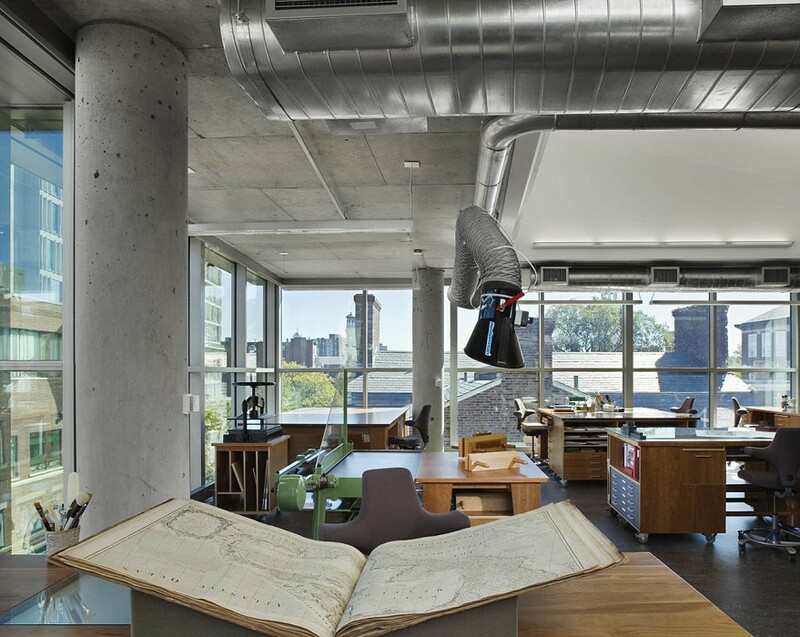 The open workspaces on the north side take advantage of abundant natural light. 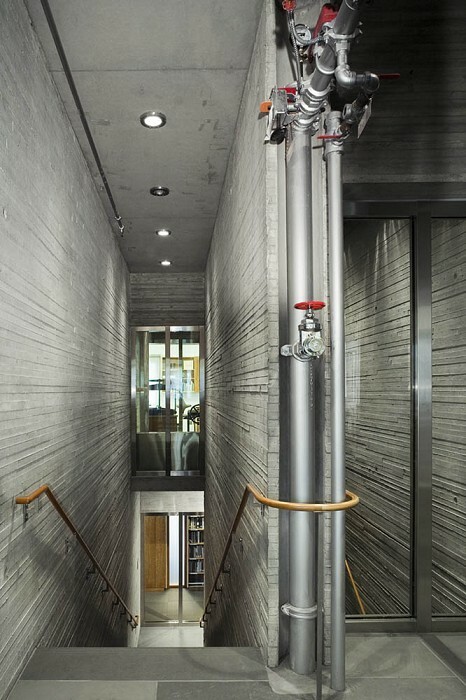 Each floor’s circulation is organized by a gently folded wall of bookcases. 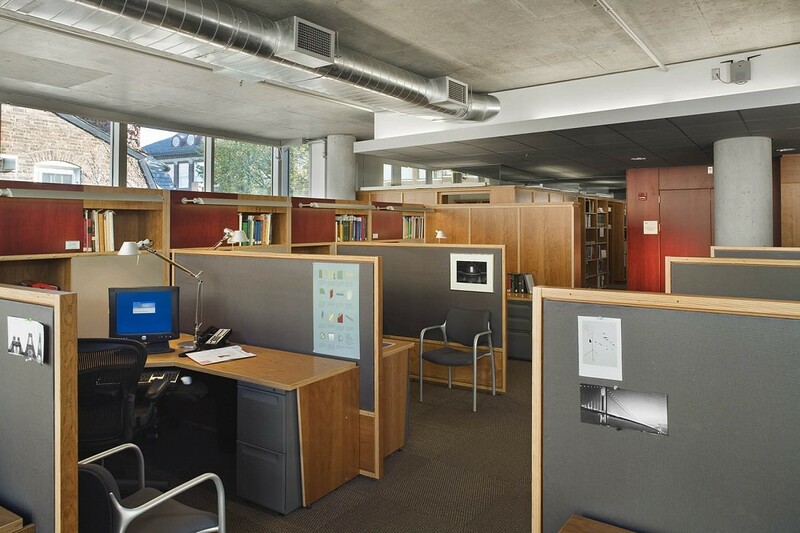 Hidden uplights in custom, flexible workstations illuminate the interior, enhancing the building’s transparency. 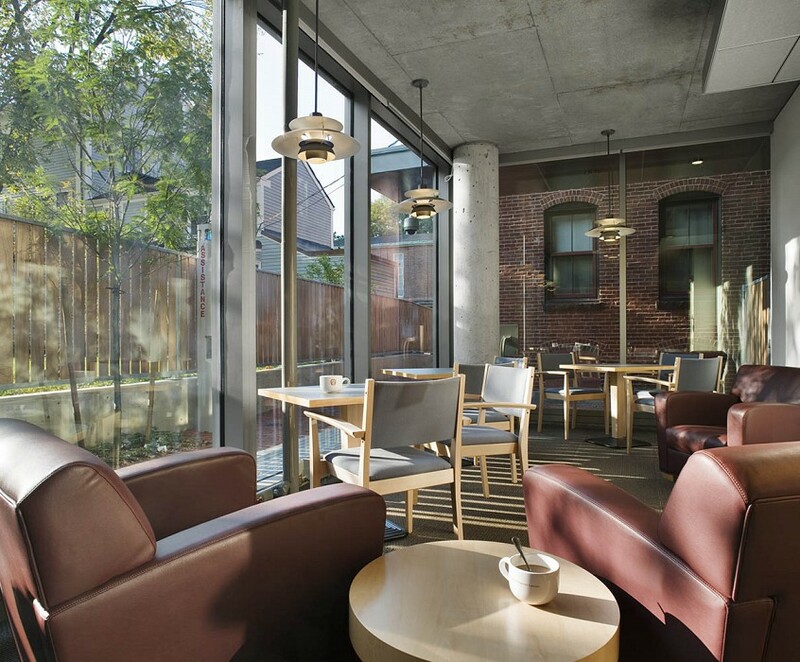 Renewable and recycled materials were used throughout. 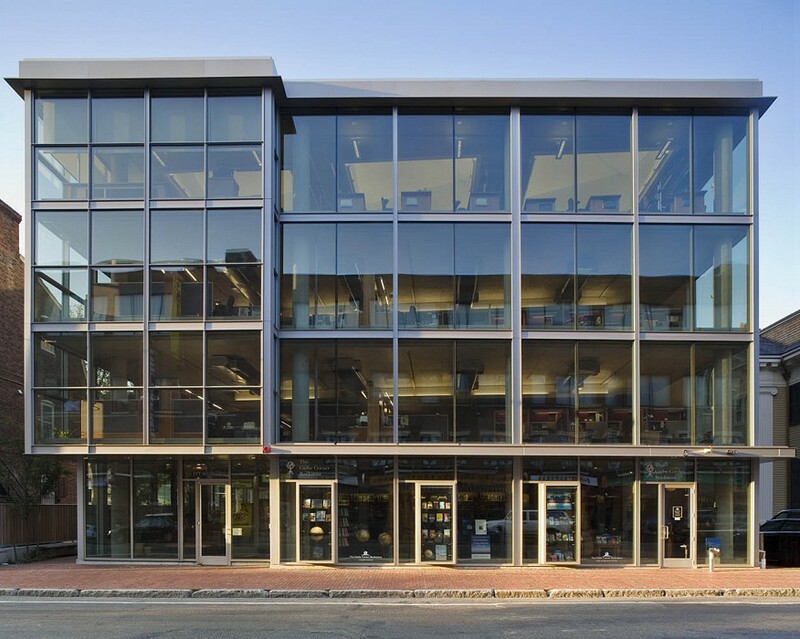 Innovative lighting, climate control, geothermal heating and cooling systems, and storm-water management helped this project earn a LEED Gold certification.